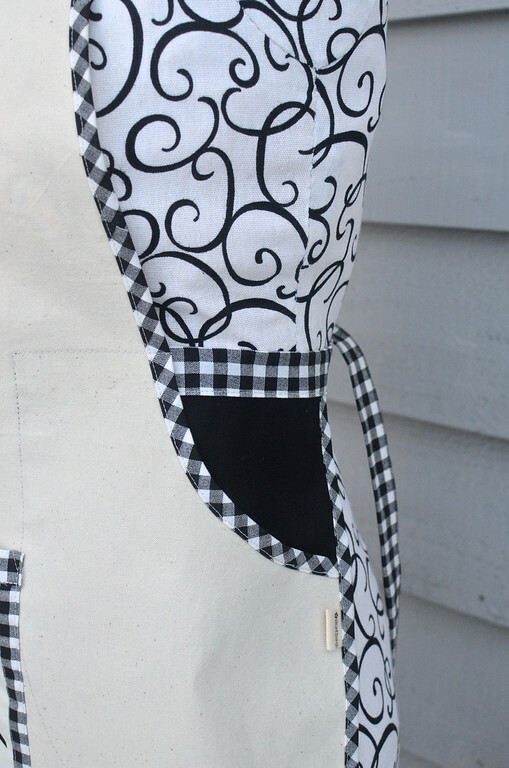 It isn't a ruffle apron in designer quilting cotton, like the ones that are all the rage now. and I didn't think he could carry off ruffles. 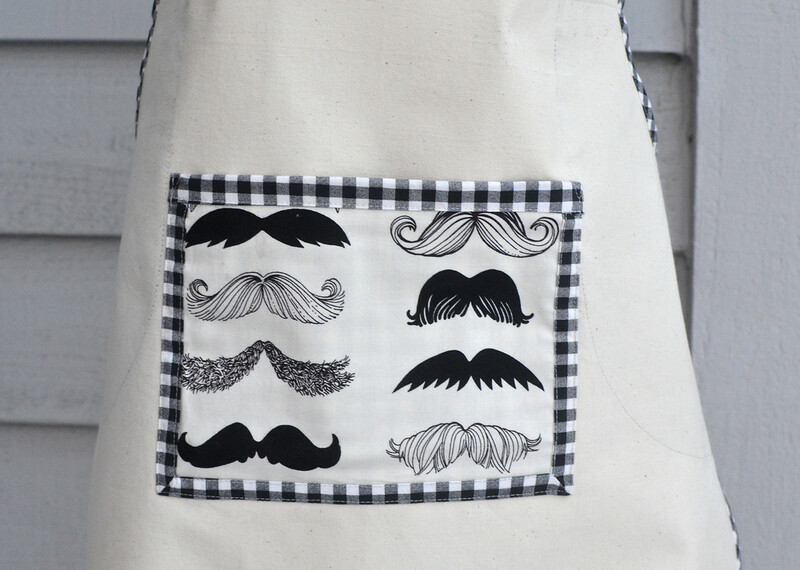 I first saw this moustache print in a BBQ-towel and oven mitt manifestation on A Spoonful of Sugar and loved it. Such a glorious print - masculine without being camouflage/ rah-rah sports/ beer-belching/ blaze orange huntingy/ whatever. Not that my father-in-law is into any of these (he isn't). But he is a fine cook and he did have a moustache once upon a time. So I put moustaches everywhere. Like on the pocket. But maybe that's stereotyping. And we wouldn't want the world reduced to that, would we? 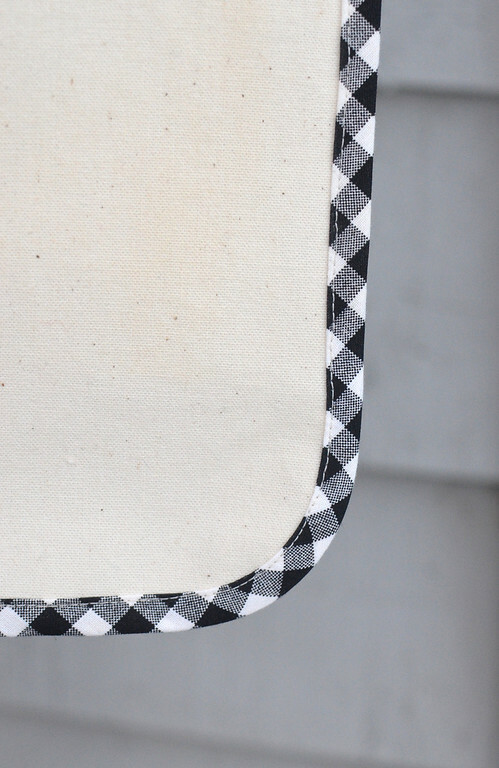 Because then I would've had to make a mitered corner on the hem of the apron, which isn't anywhere as striking in bias gingham as a smooth curve. I thought it should have a pair of potholders to match. Aaaaaand that's the sum total (number = 1) of masculine sewing (and quilting) for 2012! Love the curved pockets on the sides......absolutely love!!! 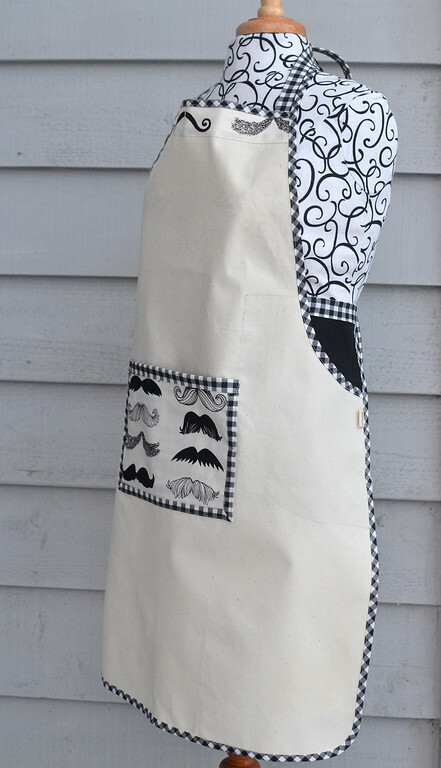 That's a very cool - and masculine - apron! 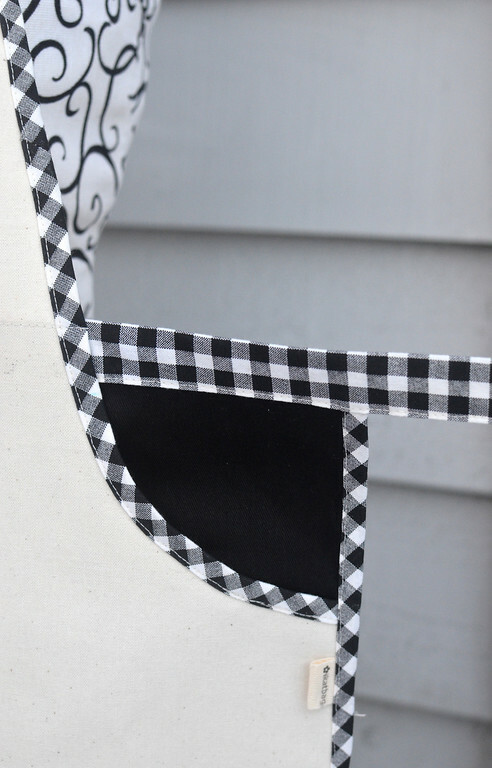 I think that curved or angled pockets for males are just fine. Reason? They really don't care or notice. They are males after all. I'm happy if my son notices that I made things matching so he would actually wear them together...as intended. 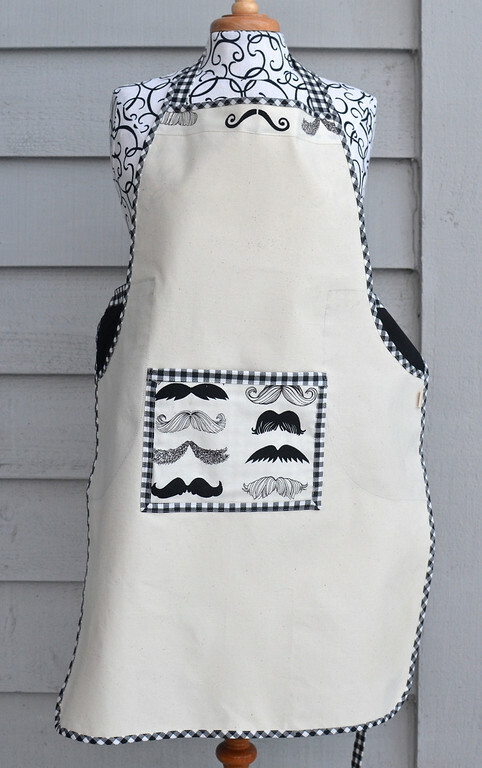 Wonderful apron...masculine and fun at the same time! Well, this post was timely! I made a bunch of aprons for my family for Christmas and gave one to my brother to give to his live-in girl friend. My mom told me that my brother actually does all the cooking (and cleaning and shopping etc) so I should have made him one. Now I have a good one to model mine after (since the ones I made all had ruffles). Thanks! That's one wicked cool apron. How nice! That's great fabric for a barber too! 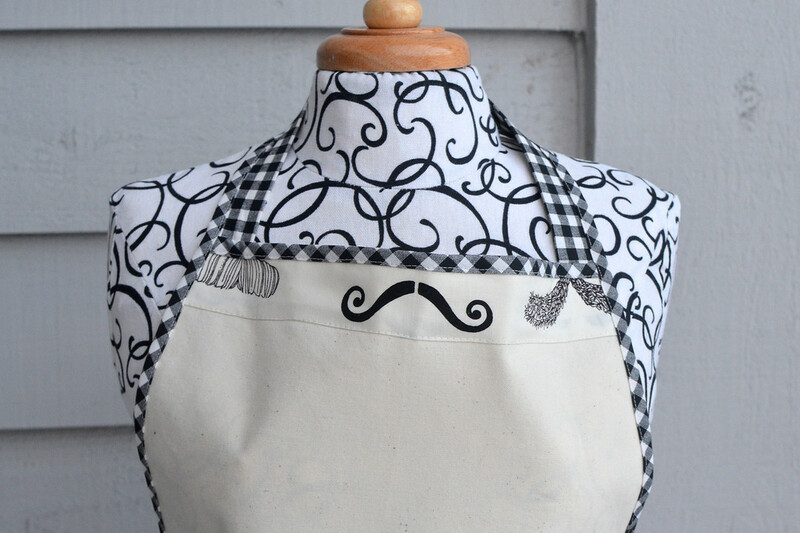 Love the apron but am totally smitten with the pot holders! Your blog is so entertaining and informative - I've been working through your archives. 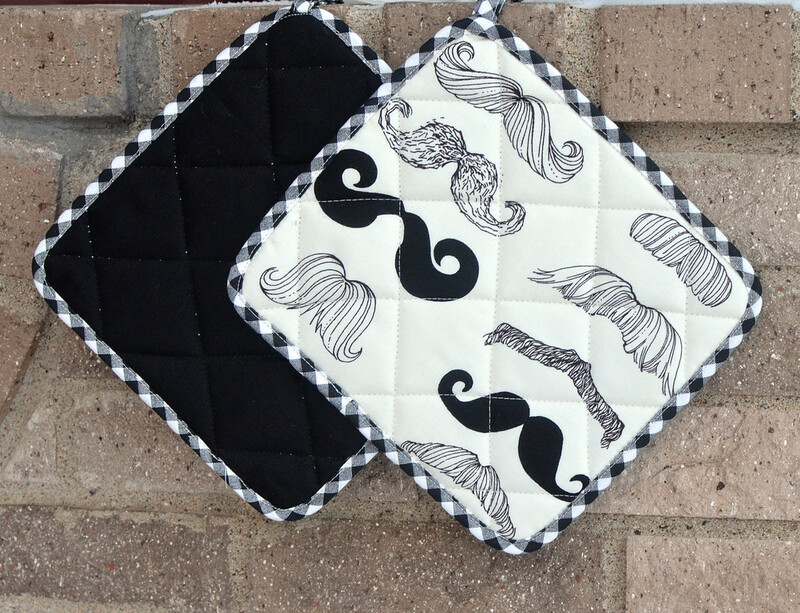 Oh my gosh, that moustache fabric is awesome!! And agree that those pot holders are cool. Sigh. If I knew hubs would wear an apron I'd make him one. I'd even make him a superhero one! Did you get to see his reaction when he received it? I would love a photo of that! 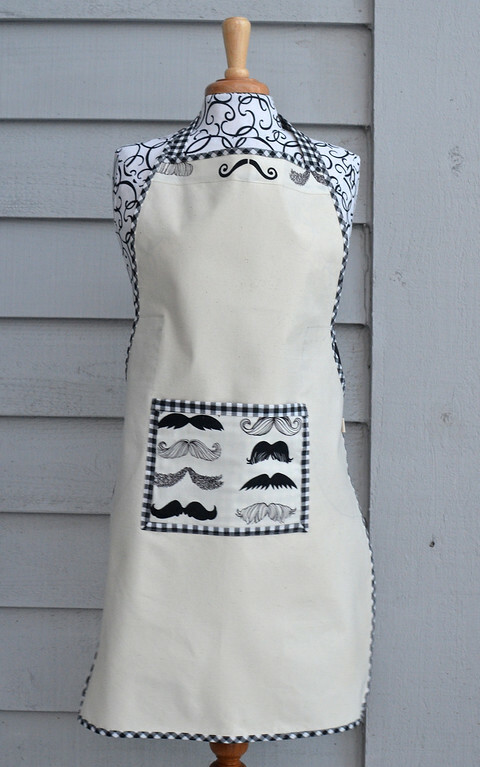 This apron is brilliant. Love the moustaches. I wonder if DH would wear an apron if I put math equations on it? What beautiful work. Thank yo for sharing.